This is one of my favorite dystopian series! I cannot wait to see how it ends. Please, please, please have a good ending. Regardless, I already know where my March Audible credit is going. 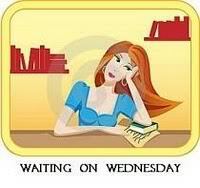 :) I listened to the first two on audio, and Julia Whelan is a fantastic narrator. I've listened to a few of her narrations and she always does an amazing job. Julia Whelan! Love her. I had trouble with Partials so I DNF'd it but I'm rethinking it because everyone else seems to love it. I'm going to give it another try, but maybe I'll go the audio way. The beginning of Partials was a little tough, but by the end I was making excuses to keep listening. Sounds pretty dark - I haven't heard of this series, thanks for bringing it to my attention. 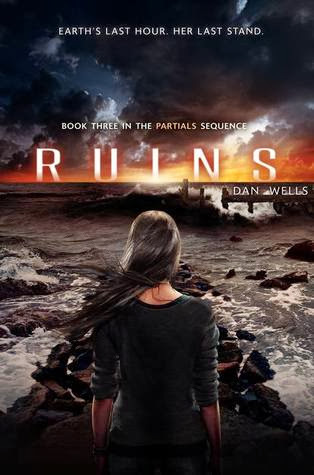 I like how "ruinous" the cover is! I don't know if I would call it dark, but it is post apocalyptic and is very heavy on the science fiction. I hope you get a chance to read it! I keep hearing how much people love Partials -- I hope this one lives up to expectations! Hadn't heard of this series, but it sounds really good. I love the cover. My WoW if you want to stop by! Oh yes! This is definitely one of my fav dystopian series too! I hope that it's a solid ending, and not disappointing! I'm scared of series endings after Allegiant! Oh well, fingers crossed right? :) Great choice, Amber! I hope you're having a fab week so far! I know! Dystopian series are particularly bad at having disappointing endings. OH MANNN. This is one of my favorite series! I cannot wait to see how it ends! Glad to see you are such a fan too. I feel like I am alone sometimes. I've got this whole series on my to-read, but I haven't gotten any of the books yet. Sounds like the previous books are pretty good.